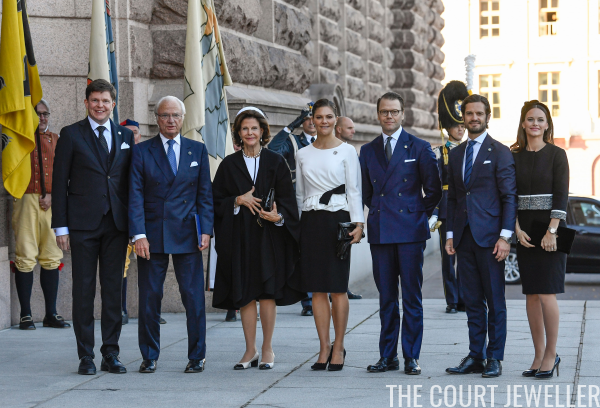 On Tuesday, the Swedish royal family gathered for the annual opening of parliament at the Riksdag in Stockholm, and all three royal women present brought along jewels set with diamonds and/or pearls. 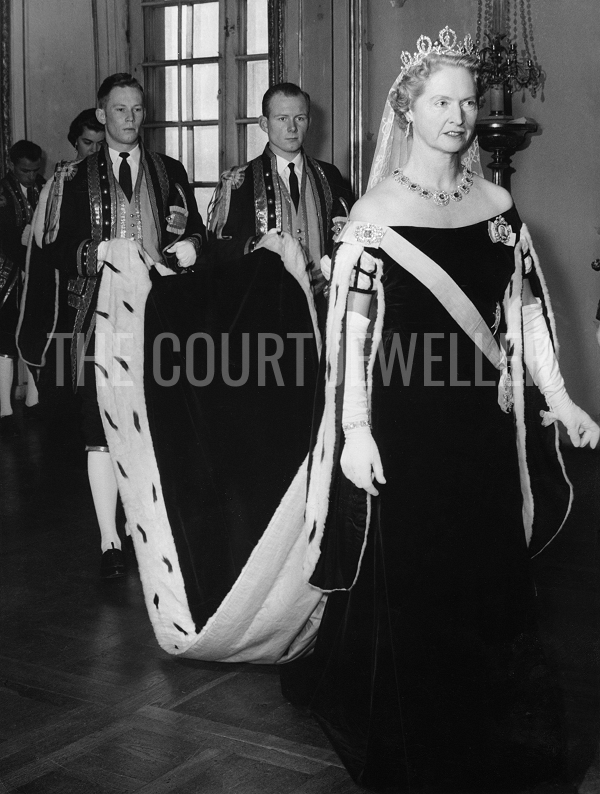 The gala jewels and gowns are gone, but the black-and-white color scheme has remained for the Bernadotte women. 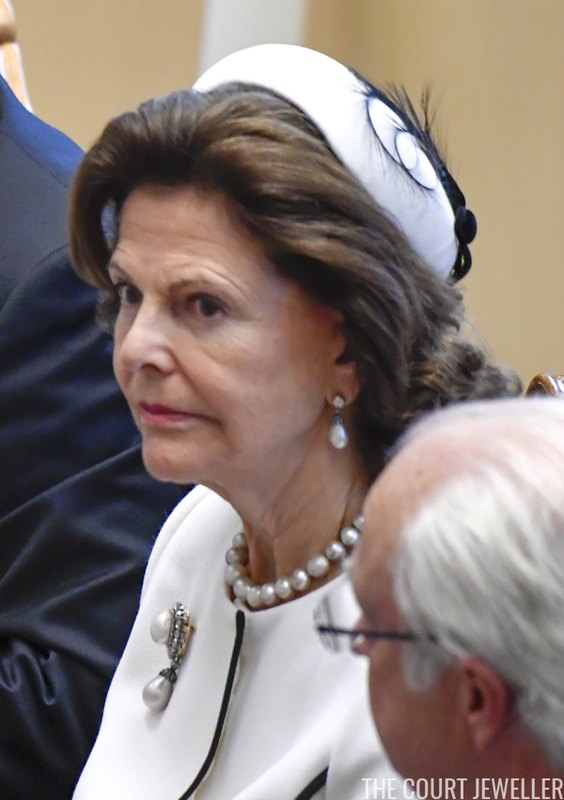 Queen Silvia, Crown Princess Victoria, and Princess Sofia were all present this year. 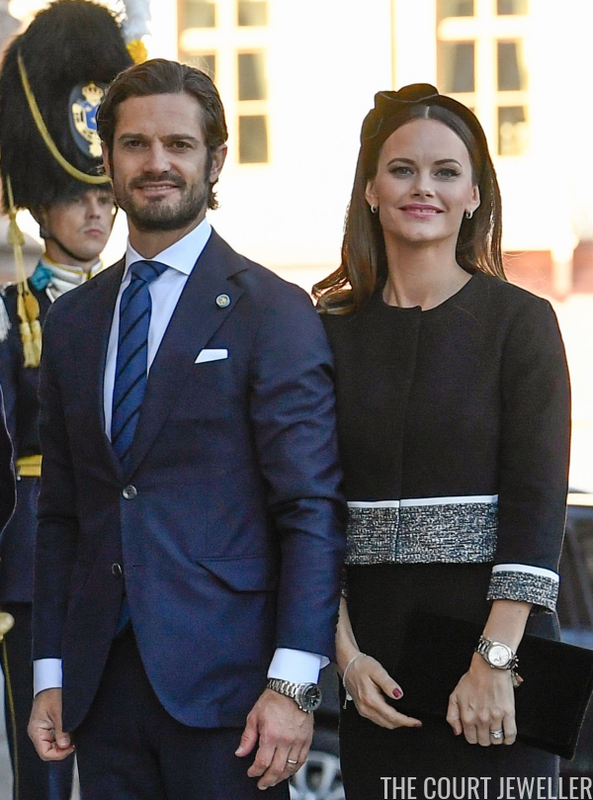 Befitting her status as queen consort, Silvia's jewels were the grandest. 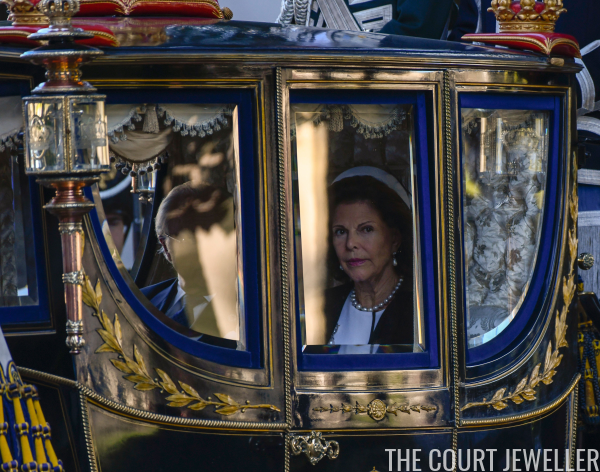 She paired classic diamond and pearl drop earrings with a pearl necklace and a brooch featuring a large diamond and pearl cluster and a pearl drop. 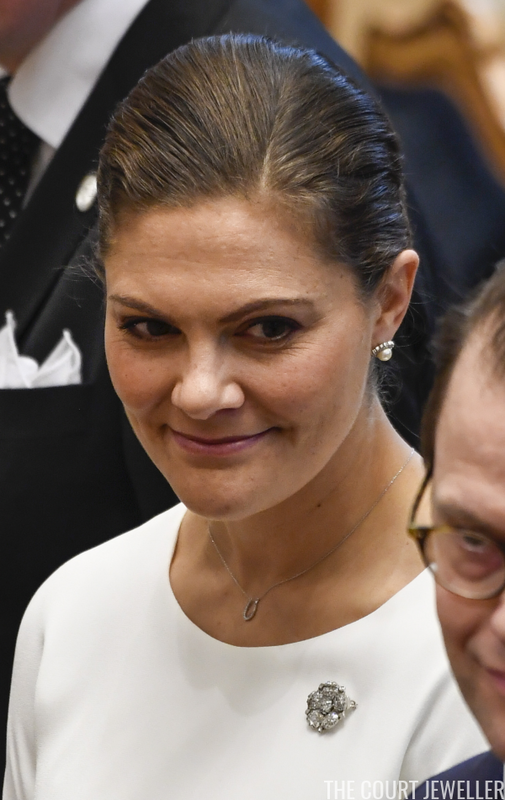 Crown Princess Victoria also wore diamonds and pearls for the occasion. She chose her diamond and pearl cluster stud earrings from Kreuger, a gorgeous diamond rose brooch, and a necklace with a horseshoe charm. 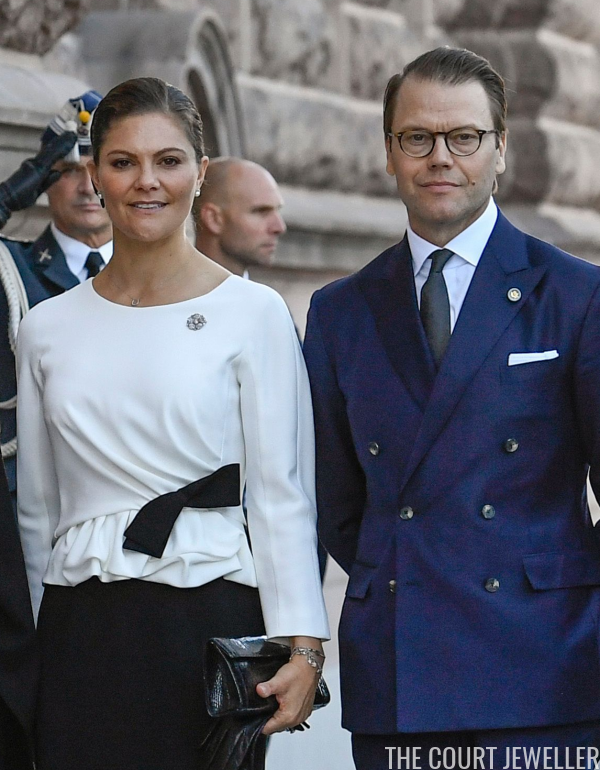 Sofia went even more minimal with her jewelry, wearing her petite diamond hoop earring with her black-and-white ensemble.